The land of Bambuk was an important source of gold for trans-Saharan trade and the imperial polities of Ghana and Mali, yet the non-centralized societies of this region remain largely peripheral in the historiography of West Africa. 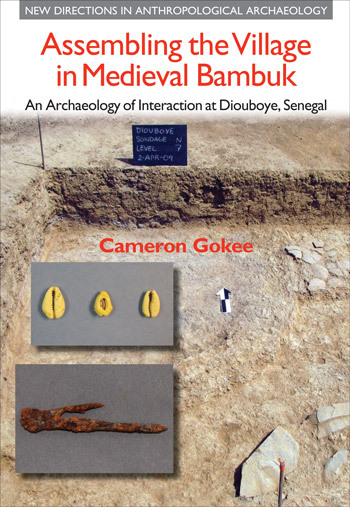 Drawing on recent archaeological research at the site of Diouboye in eastern Senegal, this book explores social life in medieval Bambuk from the standpoint of a village occupied over several centuries (1000-1400 CE). Material and spatial data from excavations, together with those from survey of the middle Falemme River basin, enable a critical look at how interactions across multiple scales—among neighboring houses, between cultural and craft traditions, and within a much broader political economy—created both possibilities for and challenges to the ongoing production of a local community at Diouboye. By moving back and forth across these scales centered on a single village, Assembling the Village in Medieval Bambuk outlines a relational archaeology of community applicable to the study of seemingly peripheral societies and processes of pre-modern globalization across Africa and beyond.